TravelAnneStyle – . traveling in style . Here’s our very first on location editorial shot at El Mirage Dry Lake Bed. We wanted to emulate those classic “90’s” ads that had supermodels like Cindy Crawford, Claudia Schiffer and the likes.. Gritty. Grungy. Dirty. Vintage. Classic. Denim. This is the very last installment of our 4 part editorial series title, “WITHIN.” We called this mini collection, “sink.” because it’s a great metaphor for how some of our emotions and thoughts can overwhelm us; and can make us feel like we are drowning and helpless when in reality we can take control. This is the 3rd mini collection of photos from our, “WITHIN.” series. A series that explores our darker inner emotions.. sometimes emotions and thoughts that we can find difficult to discuss with even the closest of friends and families. We chose the title, “fear.” because now a days we can sometimes feel limited in the things we can accomplish because of the color of our skin, gender, race, social status, sexual orientation, etc.. This can hinder us from reaching our full potential. Society can create illusions that can hold us back; these are the things that we should not let change us or fear who we are inside. 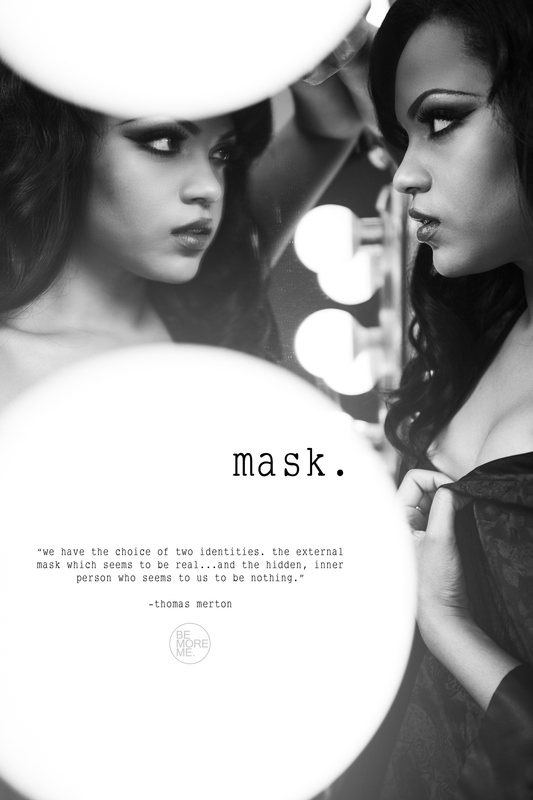 This mini collection is called, ” mask.” because at times, whether we realize it or not, EVERYONE can feel like they have to cover their true identities to fit into what society says is ideal. We admire celebrities, models and socialites because we think that they have it all. But in reality we are all different. We cannot be molded into just one type. We need to embrace our differences and know that we are all beautiful in our own way. “We are not trapped by our thoughts. This past summer, we decided to do another editorial series. This time, we wanted a darker, edgier, and more emotional look. We decided to do a series called “WITHIN.” and these pictures are a part of a mini collection that make up the series. This mini collection is called, “bind.” because we are often trapped within ourselves by emotions that we sometimes create; and those can be the toughest kind of binds to break away from. Society dictates what is right and wrong and can often limit us on what we want to say, feel or do. If you grew up in the 80’s I know you’ve seen the movie ” Goonies “. That was one of my favorite movies of all time. I was 8 yrs old when I saw it and I wanted to be one of the Goonies. Adventure, romance, action and cute Sean Astin. I loved that movie. The reason we came to Cannon Beach was because of that movie. This beach was in the intro scene and ever since then I have always wanted to visit this place. We had a week off last march and we did a road trip from LA to Oregon. 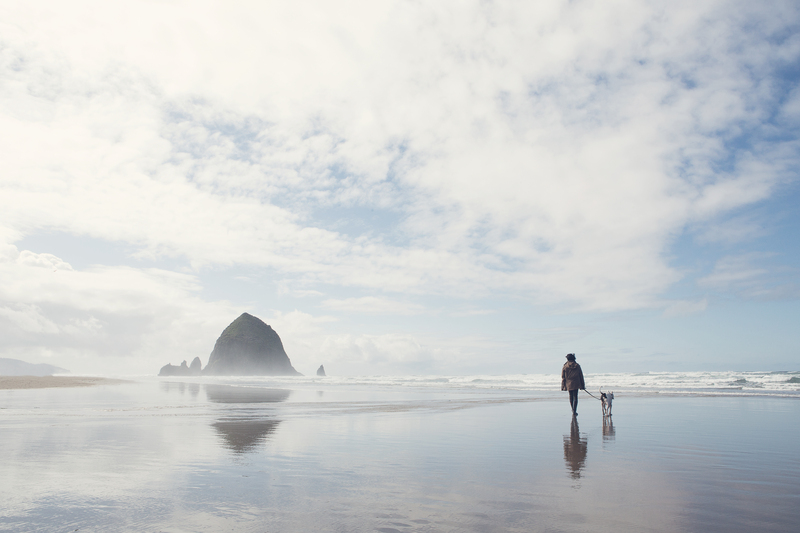 Our last stop of our Pacific Coast road trip was this gorgeous beach. Th name Big Sur was derived from El Sur Grande ( The Big South ) which describes the unexplored, untouched, and ragged wilderness located In the coast south of Monterey. It is located right on the PCH or Highway rt 1. We have driven the PCH 3x already within the last 3 years and we have passed by the area so much but we never stopped by. We had a week off from work last month and we decided to camp our way up to Oregon and Big Sur was our first stop. Usually it gets pretty busy around summertime but when we were there in March it was pretty packed. We wanted to stay at Pfeiffer State Park but that was sold out. 180 campsites were fully booked but we were lucky to find a campground that had a couple sites open. I wanted to share some photos that my hubby took of our trip. The beach was stunning and the best part was the purple sand.